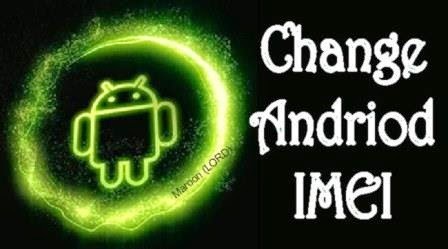 This article explains how to tweak your Android phone IMEI and get free data from all networks or make Glo BIS work on your Android. The tweak has been on for a while but fans insisted that they want it explained in a way only ITy UNIT TechBlog does. The trick is to make your phone appear to the network as a promo phone so that you can benefit from the Etisalat or Airtel or MTN Smartphone Offer as well as Glo BIS. For the second step, we will cover the 3 major ways to change your Android IMEI for both rooted and non-rooted devices. We assume that you are using a dual sim phone; in that case your Etisalat sim card (or any of the networks you want to subscribe) is in the SIM 1. 2. Open the installed app and type SU on the prompt, then tap on “Enter” to grant superuser permissions. This is one of the advantages of having a rooted phone, everything is much easier. You will need a PC for this method. First, on your phone, make sure your phone is in USB debugging Mode. “Settings” > “Developer Options” > Check the box beside “USB debugging”, and then connect your phone to your laptop through the USB. 1. Click here to download MTKDroid Tools zip folder (10mb) to your PC. 2. Extract the downloaded zip folder to your desktop. 4. Click to open and confirm that your phone is connected (Showing on the application). 5. Click on the “ROOT” button and confirm that the Yellow bar turns Green (You may have to check your phone screen to grant superuser permissions if necessary). 8. Restart your phone and subscribe to the promo offer. ITy UNIT BlogTech or its authors are not liable for any malfunction of phone or any loss of data (if it ever happens) when using any of the method here. USE IT AT YOUR OWN RISK.. Always remember to backup your Android phone using ClockworkMod or MTKTools Recovery should in case it gets brick. plx send me a valid imei of any network... a beg..,and wat to Dail or text..,, I no denge. it says "This command is not allowed in Userbuild"
Curse or thank me later.